A documentary takes a look behind the scenes of Juventus. For a decade, Edmonton-born Damien Mastroprimiano struggled to get a break in Hollywood. He crashed on couches. His career highlight was snagging a role in a FedEx commercial. He was so overjoyed by his big break that he blew the paycheque on an Alfa Romeo. He was in a theatre troupe with an actor by the name of Mark Ruffalo. The man who would go on to smash a lot of puny humans as Marvel’s signature green monster used to pick Mastroprimiano up to go to rehearsals. Mastroprimiano returned to Edmonton and began his career in real estate, but the film bug never left. After years of handshakes, pitches and filming, a new documentary that he’s producing – Black and White Stripes: The Juventus Story – will debut in Italy this month. The film documents one of the world’s most famous sports teams, Italian soccer giants Juventus, and the powerful Old Europe money behind the club. The team has been in the hands of the Agnelli family – owners of Fiat – since the 1920s. The film is directed and produced by Mastroprimiani’s cousins, twin brothers Marco and Mauro La Villa. But how do an Italian-Canadian soccer fan in Edmonton and his Montreal-based cousins ingratiate themselves to one of the most storied families in Europe? Mastroprimiano says the process took eight years. On a shoestring budget, the filmmakers made a trailer, and they got it into the hands of Marco Perego Saldana, an Italian producer who is married to Zoe Saldana. David Franzoni, the producer of Gladiator, came on board as an executive producer. 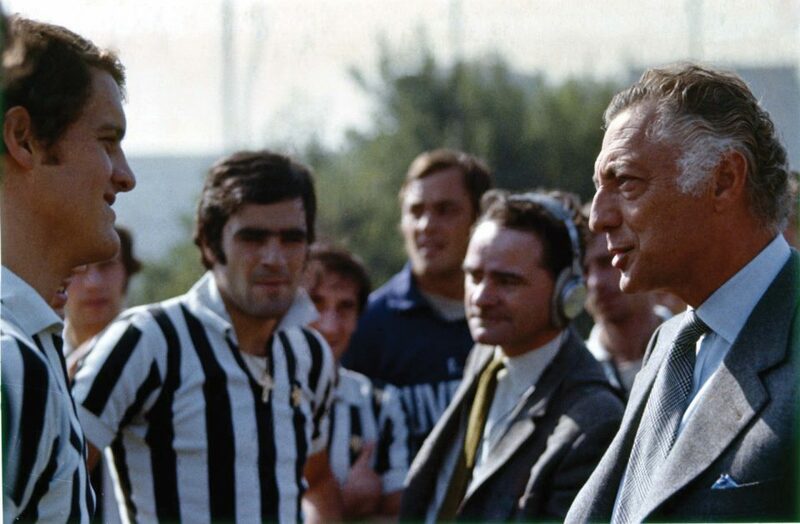 Eventually, the pitch moved all the way up to the Agnelli family – and they gave the film their blessing. And that meant Mastroprimiano and his cousins would go to the Agnellis’ famed alpine villa, Villar Perosa. Three checkpoints prevent the rabble from disturbing one of the world’s most famous families in their mountain lair. And Mastroprimiano says that the film won’t ignore dark times in the club’s history, which include a match-fixing scandal and one of the bloodiest days in soccer history when 39 people were killed before the 1985 European Cup final between Juventus and Liverpool. But Mastroprimiano said that this is a film about a family’s connection to a club that’s a cultural institution. Juventus isn’t run for profit; it’s not seen as being part of a corporate arm. The Italian version of the documentary debuted September 30 in Turin, the northern Italian Olympic city that’s home to the club that’s affectionately known as “The Old Lady.” It is narrated by Oscar-nominated actor Giancarlo Giannini. The English version will be narrated by Academy Award winner F. Murray Abraham, and music from Ennio Morricone, who won an Oscar earlier this year, will be featured. If this works out, maybe one day Mark Ruffalo can bum rides off of Mastroprimiano.